Estate Agents, IFA's, Solicitors and their Clients. The Challenge accepted and delivered. Use the Conveyancing software to showcase a proven Nationwide Investor and Homebuyer Conveyancing Panel. Bringing transparent conveyancing quotes to your Customers is key to being impartial. Your Customers can become informed Clients. Search by Mortgage Lender - Some lenders do stipulate that they would like the conveyancing managed by an approved Conveyancer on their mortgage lender panel. 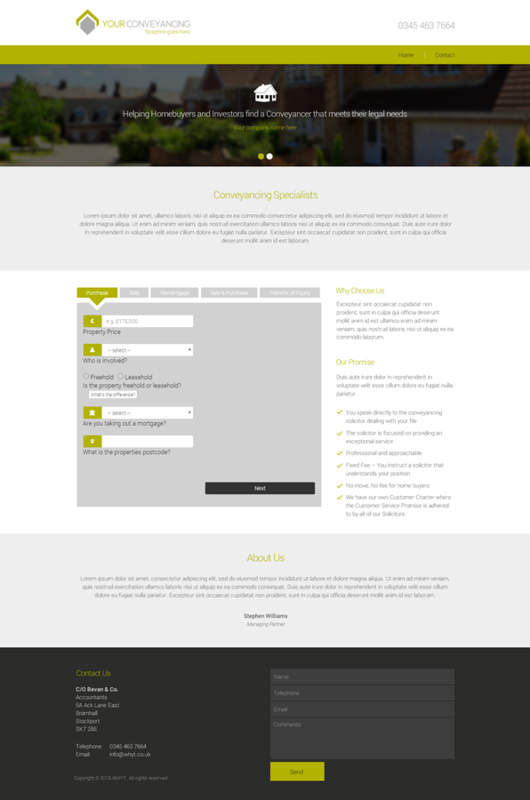 View and price compare online, a comprehensive range of conveyancing quotes that cover the conveyancing marketplace. Book a call from a Conveyancer to your Client so that that the conveyancing process can start. See traffic light status key milestones for both quotes and cases. Keep your Customers with you - You can discuss with them which quotes meet their needs. Fully detailed quotes which detail legal fees and disbursements. We use a Onesearch Direct Comprehensive search pack bespoke to We Help You Too Ltd. The pack covers all areas of England and Wales. The exception is that you may need a specific search such as Coal or Cornish tin. Your Customers could choose to take out Buyer protect - You may want this in all your purchase transactions as your standard. Coming soon - A legal pack that stops gazumping and gets your Clients to Exchange rapidly. Perfect for New Build, First Time Buyers and Buy To Let Investors. You may want to provide the conveyancing comparison service to both your website Visitors and your Sales Advisers. You and your Clients can discuss which Conveyancer is best suited to your Clients legal needs. You can compare together instant conveyancing quotes without entering any personal details. When ready you can book a call from the Conveyancer to your Client. You can login to see the status of a conveyancing quote. 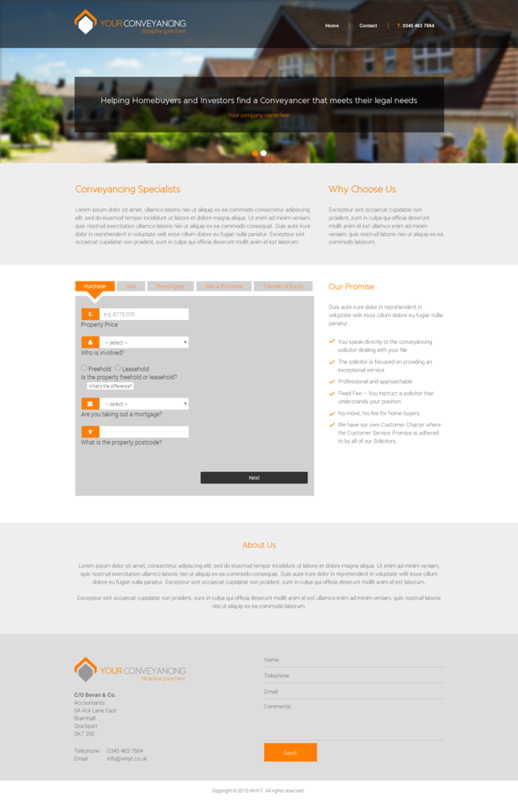 You may want a website where you can put the Conveyancing quote system. We have some ready made templates above. We are here to listen and to work with you. We provide the easy to use Conveyancer pick and track tools for your Customers to become long term Clients. They make informed decisions on which Conveyancer to use. You know the status of a case. Quotation to Completion - The complex conveyancing process made understandable with cost benefits.